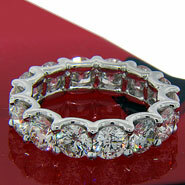 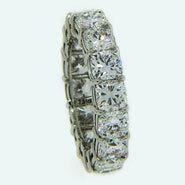 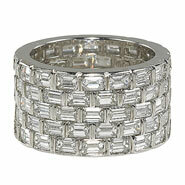 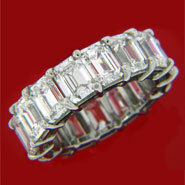 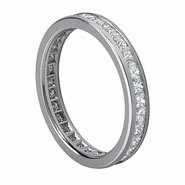 Celebrate those momentous occasions in your marriage with the symbolic Eternity Band. 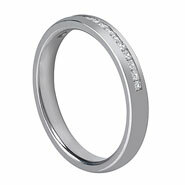 Designed to be a token of everlasting love, it is representative of the eternal cycle of life. 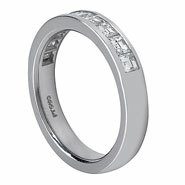 Our Eternity bands are set with a continuous line of perfectly matched diamonds that are selected according to the highest criteria and are incorporated into materials of uncompromising quality. 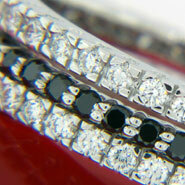 From the initial design to the final product, our promise of excellence is absolute.